It said that a decision regarding the chargesheet would be taken within a month from receiving the opinion of the standing counsel. New Delhi: Delhi’s Patiala House Court has fixed April 8 as the next date for hearing in the JNU sedition case. During the course of the hearing, the Delhi government submitted that the police had been hasty. It said that a decision regarding the chargesheet would be taken within a month from receiving the opinion of the standing counsel. “Opinion from the senior standing counsel of the Delhi government is awaited,” said the government. Chief Metropolitan Magistrate Deepak Sherawat had directed the Aam Aadmi Party government to file a “proper reply” citing a definite time-frame. 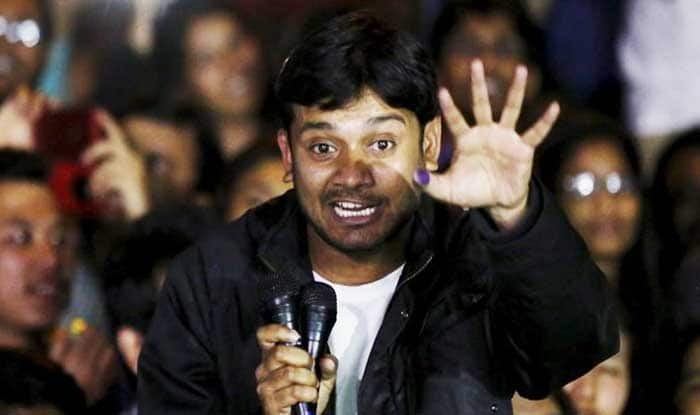 The Delhi Police had said authorities were yet to give requisite sanctions to prosecute then JNU Students’ Union President Kanhaiya Kumar and others in the 2016 case, and it would take two to three months to procure sanctions. Police filed a charge sheet in the court this January against Kumar and others, saying he was leading a procession and supported seditious slogans raised in the JNU campus during an event on February 9, 2016. Soon, the court was pulling up Delhi Police for filing the chargesheet without getting the requisite sanction in 2016 JNU sedition case. “You don’t have approval from the legal department, why did you file chargesheet without approval?” it asked. In response, the Delhi police assured the court that they will get the sanction approved in ten days. The chargesheet was filed against Kumar, Anirban Bhattacharya and others under various Indian Penal Code (IPC) section 124A (sedition), 323 (voluntarily causing hurt), 465 (forgery), 471 (using as genuine, forged document), 143 (punishment for unlawful assembly), 149 (unlawful assembly with common object), 147 (rioting), and 120B (criminal conspiracy).